Today, the NCC DT is sharing projects created with the February Release, my projects use the Hippity Hoppity and Pansies stamp sets along with additional stamps and Custom Dies from Our Daily Bread Designs. I've been making these test tube holders for quite a few number of years, here I've paper adhered the ODBD Shabby Rose Paper Collection to the box, and added the stamped bunny from the Hippity Hoppity stamp set that I paper pieced with scraps of the pattern paper. 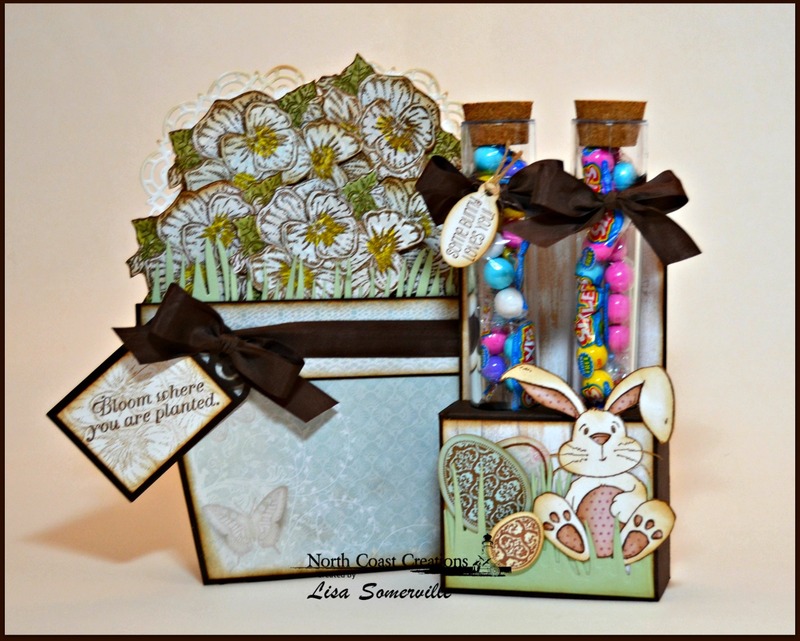 To finish decorating the box, I added the Grass Border Die and stamped eggs from the ODBD Blessed Easter and Easter Blessings stamp sets and die cut them using the ODBD Custom Eggs Dies. I stamped the sentiment from the Hippity Hoppity stamp set and die cut it using the ODBD Custom Mini Tags Dies. I stamped the Pansies multiple times on scraps of the Shabby Rose paper collection, cutting them out and popping a few up for added dimension. I added die cut grass using the Grass Border Die and a few die cut Doilies behind the Pansies. The flower pot is decorated with the ODBD Shabby Rose Paper Collection, Seam Binding and a stamped tag that was die cut using the ODBD Custom Recipe Card and Tags Dies. I love how you come up with the most clever projects!!! The treat holder is such a fabulous idea...the bunny is adorable...I may have to order it now!! 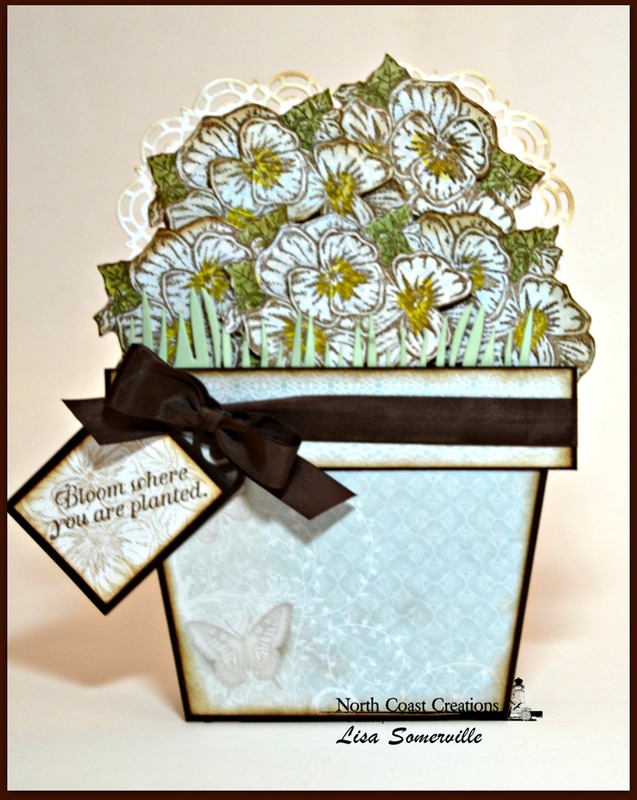 Your Flower Pot card looks amazing!! Love the doilies in with the pansies and the ODBD paper was made just for you...I love when you use browns and blues together! HUGS!! I agree with Ang... such clever projects! Adorable tube treats and cute bunny! Love the flower pot card!!! Beautiful! I love the bunny box! These are so cute, Lisa! 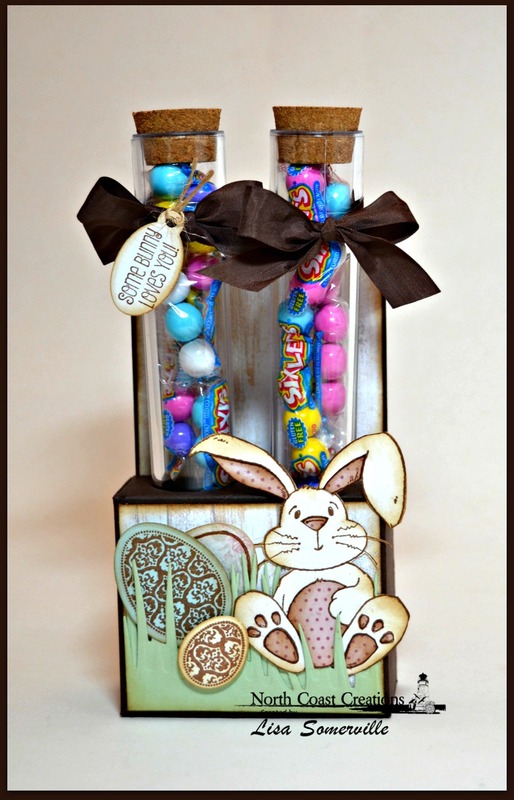 Love your test tube treats w/ the cute bunny box. And your flower pot card is lovely in the pale blue shades. How cute Lisa!!! Great ways to showcase the new sets!